Will Preparation Services | The Law Offices of Eric A. Rudolph P.C. Everyone should have a basic will. In your will you name an “executor”, the person with legal authority to transfer your property to your beneficiaries. Wills do have one big drawback: property passing through a will in California must go through probate (except for small estates). 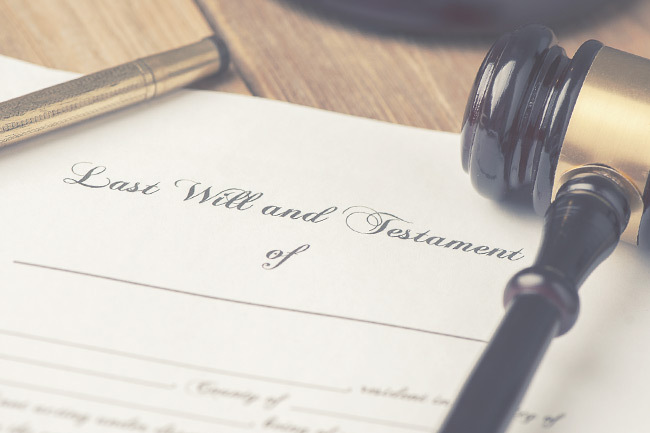 It is important to talk to an experienced California estate planning attorney to determine if a will is the right estate planning document for you. You may not need a living trust, but you should have at least a will. Without a will, the State of California will decide who inherits your property and money. Even if you have a living trust, you should have a will (called a pourover will). Also, a will is the best document for naming a personal guardian for your minor children or pets. Wills do have one big drawback: property passing by a will in California will likely go through probate. It is important to talk to an experienced California estate planning attorney to determine if a will is the right estate planning document for you, as well as what property, if any, you want transferred by your will, and what property you want transferred by another estate planning device (like a living trust) to avoid probate. Estate Planning Attorney, Eric A. Rudolph, Esq. proudly offers will preparation services and full range of specialized estate planning and trust administration services. His dedicated guidance has helped many Palm Springs families and individuals avoid financial and legal pitfalls.